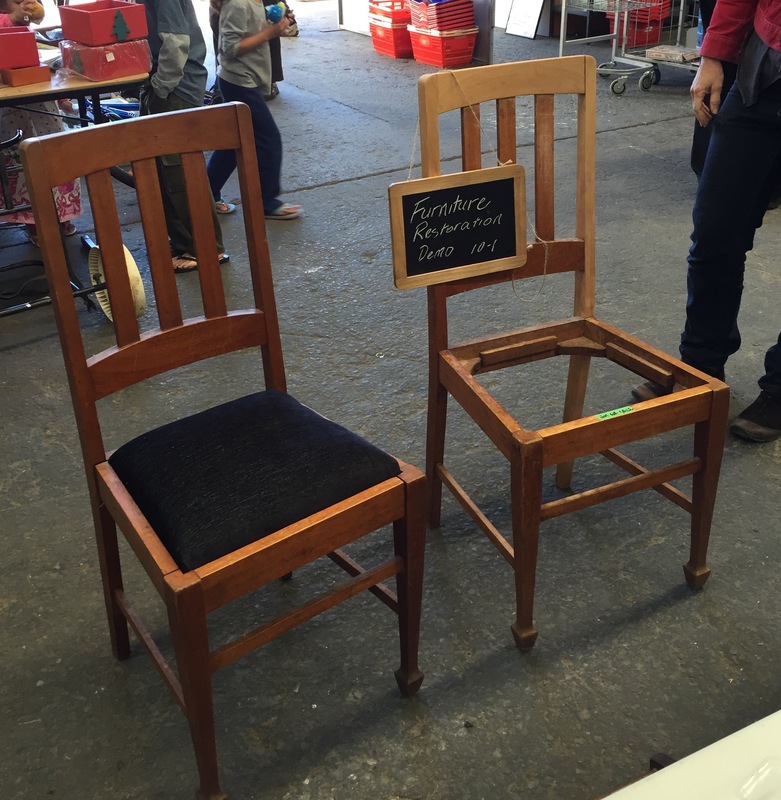 Rebecca Barnett (from Relative Creative) and I ran furniture restoration demonstrations at the Brisbane City Council’s tip shops as part of the council’s Green Events initiative. Over two Saturdays, we worked on furniture found from the tip shops, and shared advice on how to get the most out of recycled furniture. It was wonderful to engage with so many interested people who were either working on their own restoration project or wondering how to start one. 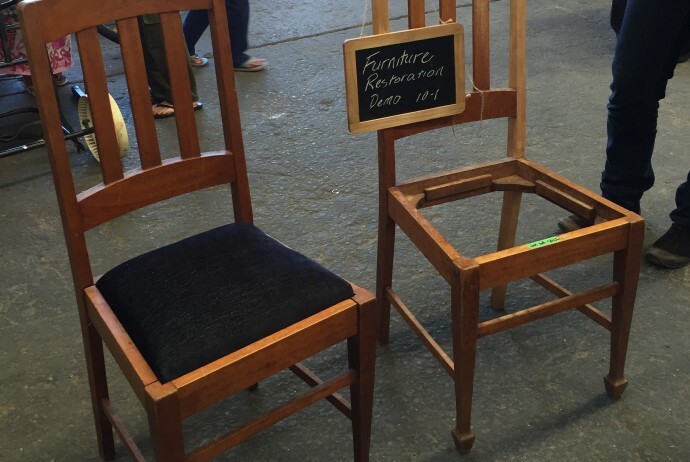 Since furniture restoration involves some specialised tools and hard to come by materials, it can be daunting to start that project, and many leave it for another time. We hope to be able to make the process a little easier for some by advising what essential tools are needed, where to source materials and how to select the right materials. The Brisbane City Council tip shops at Geebung and Acacia Ridge are run by the Endeavour Foundation, with proceeds going towards supporting people with a disability.